Q: Take the name of a modern-day country. Add an "A" and rearrange all the letters to name a group of people who used to live in the area of this country. Who are they? Shall we debate whether the 4th letter of the country should be included? Blaine, I thought the 4th letter you were referring to was the H , not the N ("NEADERTHALS"?). I think Blaine simply mistyped NEANDERTHALS, missing the 'N' when he typed the word. If you count the letters in his post you will notice they BOTH have only eleven letters. The puzzle asks for an answer with twelve letters in the second word. Sorry, a slip of the fingers... N is back. Whatever happened to that ancient group of people, the AERIALS, who used to dwell in ISRAEL? Were the Aerials struck by lightning, or did they succumb to Israeli air strikes and ethnic cleansing? Not sure, but if I find out I'll send you a cable. Or the Toad Clans of Scotland. My clue from the tail end of last week: "ancient history," perhaps real ancient. Interestingly enough this puzzle reminds me of a flip-flop. I think this puzzle, which is a good one, has something in common with two states in this country inhabited by two blog posters here. Just out of curiosity, how do you(we) know which states our fellow bloggers inhabit? Ruth, click on your name and you are carried to your Blogger profile, which reveals as much or as little information about yourself as you have chosen to reveal. "This country"? We're in cyberspace. Or did you mean Blainesville? The country of Blainesville. . .
Actually, I reside in one of those two states, too. WW & I are practically neighbors. zeke creek's posts sometimes convince me he resides in a state oftentimes referred to as a certain famous person's "waiting room," but maybe he's just practicing skullduggery on us and really lives in a high-rise on the West Side. It can't be what I'm thinking. It absolutely cannot be what I am thinking, and I will explain Thursday, if in possession of my faculties. Good clue, Paul. Thanks ;-). Just back from vacation, and I may or may not have visited this country on my trip, and I may or may not have encountered some of this group of people along the way. The former occupants of this country are well known for an activity also practiced by some of the most famous modern occupants. Clever clue there, Blaine, but what the hell. We are just glad to have you back again. It just goes to show: one man's meat is another man's poison. Henry, my clues pale in comparison to yours. Interesting. There are actually a lot of people who have high levels of these people's genes, living in Circleville, OH. Blaine provided the primary confirmation that my answer is probably correct, but query whether the "group of people" ever stopped living in this modern day country or even the USA. While searching for a clever clue, I came upon an essay on net neutrality entitled "[country name] versus [people name]". I'm reminded of another Will, who never mett a mann he didn't like. There can be allot of lessons learned about this people group. I meant , the relevant meter. I finally hunted this one down. Then I though, "A DUH." I'm surprised that no one has mentioned the tenuous link between this puzzle and a certain diet trend of the last few years. And, on an unrelated note, when I told my wife the answer to the puzzle, she made the valid point that the people in question ranged much farther afield than this country. curtis, as to your second point, I think Will is safe with the phrasing "live in the area of this country." ... and as to your first point, I'll have a cartoon for you on Thursday. We now have two Word Women? I don't know, jan. Do you think Blainesville is ready for WWWW? With the centennial of WWI this week, and some people arguing that WWIII may be imminent, even in the age of the WWW, I think we may have enough WWs for one blog. Quite a somber article from The Atlantic. I think Google changed the way one signs into gmail so that, on my phone at least, the first account I sign into is the account both addresses show. . . Yes, there's just one WW. Does this puzzle seem tough? I guess we'll see how many correct answers there are this week. the problem I was having by updating my list of countries. Otherwise, not a tough puzzle, but a good one. Looking forward to reading WW's explanation of her Chaucer clue. You mean you haven't read The Spelunker's Tale? "I think this puzzle, which is a good one, has something in common with two states in this country inhabited by two blog posters here." Washington and Colorado allow the recreational use of marijuana as do the Netherlands. "Clever clue there, Blaine, but what the hell. We are just glad to have you back again." Or I could have said "What the 'H' which would have revealed that Blaine was hinting at that letter. > I'm reminded of another Will, who never mett a mann he didn't like. Mettmann, in the Neander Valley (Tal, auf Deutsch) is the home of the Neanderthal Museum. "I don’t know about you guys, but I’ve had it up to here with the paleo diet." > You mean you haven't read The Spelunker's Tale? 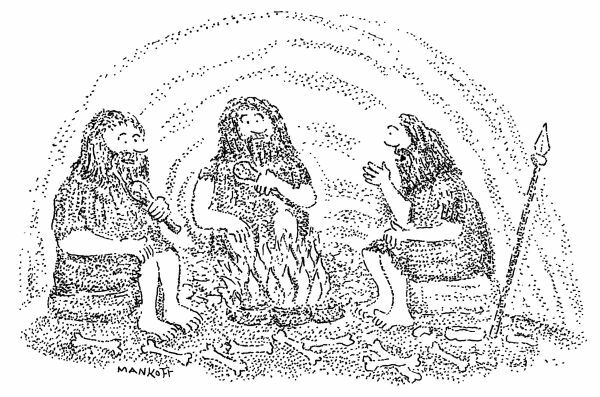 Neanderthals anagrams to "head lanterns", which are used by other kinds of cave men. It was pretty funny, jan.
1. "Geoffrey Chaucer" was meant to highlight "The Miller's Tale" with the following verse referring to the "nether yë:"
The passage was featured in an episode of "The Big Bang Theory" also. 2. Procol Harum's song "A Whiter Shade of Pale" also references "The Miller's Tale." 3. The country of Blainesville. . .as in The Netherlands. . .
4. "New York state of mind" as in The New York Times recent editorial supporting legalization of marijuana. CO, WA, The Netherlands, and Uruguay currently have legalized marijuana. 5. "My clue pales in comparison" referred both to the Paleo diet (to which Curtis referred) as well as "A Whiter Shade of Pale." jan, "The Spelunker's Tale" was most amusing. Chaucer should have thunk it! NETHERLANDS + A = NEANDERTHALS. The two U.S. States that SDB is referring to are New York & New Jersey, the 2 States where the Dutch settled primarily (New Amsterdam). See: Dutch Settlement 1660 map. If you are a blogger from one of these 2 States, SDB is referring to you! Netherlands - Neanderthals. Blaine correctly observed that the "h" in "Netherlands" doesn't fit with the often-used "Neandertals". I find myself using Neanderthal as a perjorative adjective to describe a man who's stuck in the dark ages. And "Skullduggery" was...well...you know. Jan, I never read the Spelunker's Tale - barely got through one Chaucer class in college. I never read that author either and my lit teacher in high school didn't teach it, but the more attractive teacher in the other lit class did and one day I saw a couple of the guys in that class Chaucer down the hall! H is also for Holland! The tires were still fine, but my chain was missing a link. Lessons Learned is a song from Dan Fogelberg's album, Nether Lands. My hint: relating to the "flip flop" a few weeks ago was the reference to the Malaysian Airliner that disappeared with mostly Dutch citizens aboard which was the first puzzle and later replaced by sweat/water. Also, "beyond ancient" refers to the Neanderthals. Wow, I was stuck on Iran and Arian (sometimes spelled Aryan) Which is the home of the real Arian people, not as touted by Hitler. I spent some time in the Netherlands and you would have thought I would have known better. Must have had too much contact with the weed smoking flea market saleswoman in Amsterdaam. My story matches yours even though family lives in Amsterdam. I originally posted a clue for Arian ,"variants", but then erased it after I got the right answer and also came to the conclusion that Aryan/Arian probably didn't apply to Persia/Iran but to the Persian Empire which extended farther east. The reason I originally missed "Netherlands" was because of "the 'the problem' " in my country list. The official name was listed as "The Netherlands". Current lists differ from 2009. The anagram of what country, 2 word phrase, describes David's "The Death of Marat"? "I may or may not have visited this country on my trip, and I may or may not have encountered some of this group of people along the way." In my crowd, you can't claim to have been in a country unless at a minimum you have left the airport and had lunch. So although I changed planes in Amsterdam, they would say I hadn't visited the Netherlands. And most of the people I encountered were very nice, but there was that couple on the plane who allowed their toddler to scream for eight hours between Newark and Amsterdam -- they might have been Neanderthals. IS IT JUST ME, OR ARE THERE OTHER ANAGRAMS OF EM? So good, jan. Wish I'd said that. Next week's challenge: Name a well-known movie of the past — two words, seven letters in total. These seven letters can be rearranged to spell the name of an animal plus the sound it makes. What animal is it? What did the Italian diner say to the waiter in the Chinese restaurant? Paul - I'm thinking some sort of confusion between bastoncini and grissini, but can't tie it in with the puzzle! I don't think the movie is all that well known, but you will have to agree the music rocks. No, neither Enya nor Weird Al Yankovic contributed any music to the movie, although a movie to which Enya DID contribute has something in common with it.